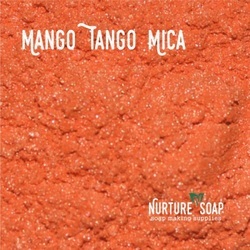 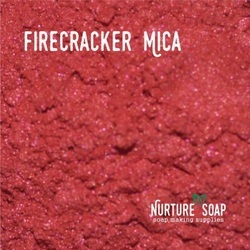 Mango Tango orange mica is a bright brilliant orange in all types of soaps. 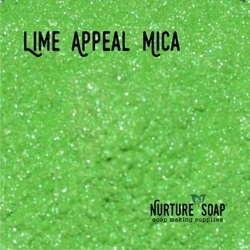 Lime Appeal green mica is a shockingly bright yellow green mica that performs brilliantly in all types of soaps. 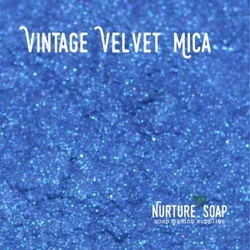 Vintage Velvet is a deep blue with a purple sheen that is amazing in all types of soaps. 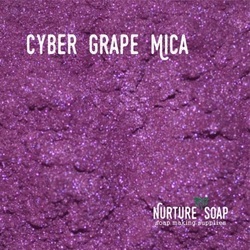 Cyber Grape makes a brilliant bright purple in soaps.